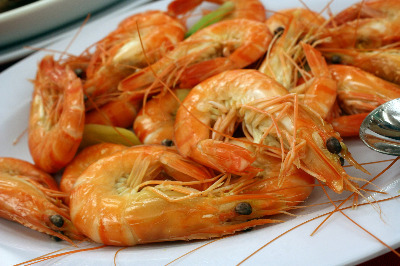 We have many prawn recipes that are popular in Greece, cooked with pasta, grilled on the barbecue or several recipes for frying, such as with garlic butter, or crumbed. If you only want simple cooked prawns to eat hot or cold, where you can taste the freshness of the seafood then this is where to start. 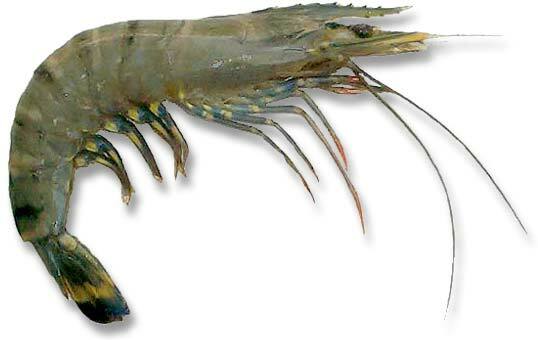 The first thing we need to do is find out how to cook prawns or shrimps. You can use this basic recipe for raw seafood either in their shells or already peeled. Get a large pan of salted water. Throw the prawns into the water. Cover the pan and wait for the water to come back up to the boil. Then turn off the heat and leave the pan, covered where it is with the prawns in the water for about 5 minutes. You can also add some flavourings to the water, such as onion, garlic, bay leaves, thyme and parsley. Prawns are then ready to eat, hot or cold along with lemon wedges or lemon and oil dressing. Serve the prawn or shrimp with a Greek Salad , plenty of Greek dips and Fresh Bread. Have as a meal or as part of a meze, snacks to go with drinks like Ouzo.